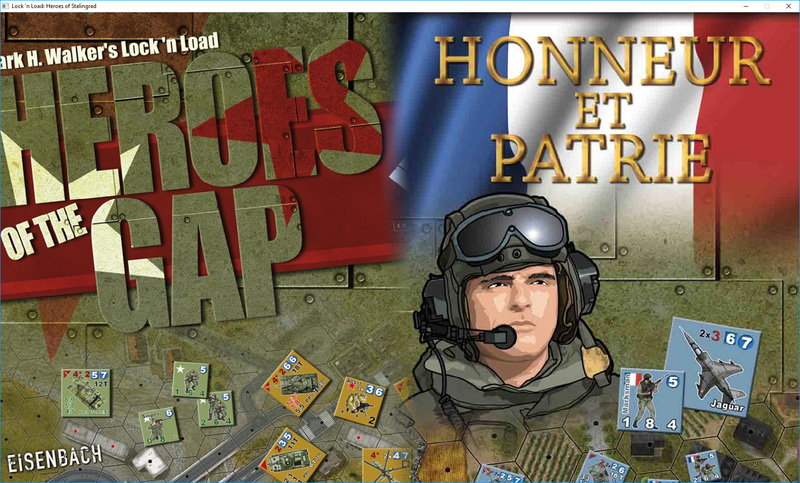 It is composed by the assembly of boardgames Heroes of the Gap, Honneur et Patrie and A Ring of Hills published by Lock 'n Load Publishing. I own some of them and sincerely it's worth it, if only for the pleasure of my eyes. I always hope that Lock 'n Load Publishing will release professional digital versions of their games and that they will take the place of my modules which are a little tinkered (Look what they have done with Tank on Tank Digital : Look here - This is exactly what I dream about in terms of graphic quality.). Due to the limitations of the original program, this module must be considered as a new game in its own right. 1 - To install it properly, you need to make a copy of the original Heroes of Stalingrad installation folder that is located in the c:/Matrix Games folder. 3 - Then you can extract all the files from the archive to the new installation folder by replacing all the files. 4 - You can now playing this new game by clicking on LockNLoad.exe in the new installation folder. 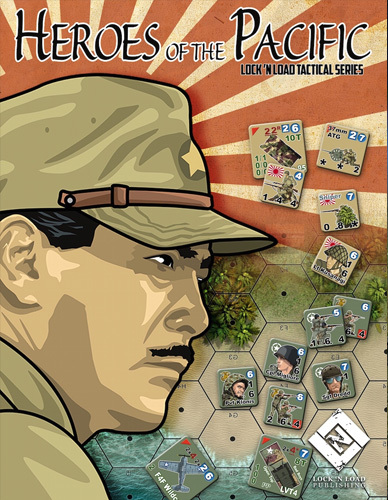 It is composed of the Heroes of the Pacific module published by Lock 'n Load Publishing. I always hope that Lock 'n Load Publishing will release professional digital versions of their games and that they will take the place of my module which is a little tinkered (Look what they have done with Tank on Tank Digital : Look here - This is exactly what I dream about in terms of graphic quality.). 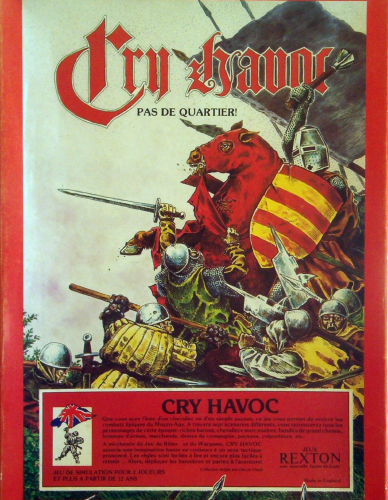 It is composed of the Forgotten Heroes of Vietnam, ANZAC Attack published by Lock 'n Load Publishing and French and Viet Mhin published by French magazin Vae Victis. 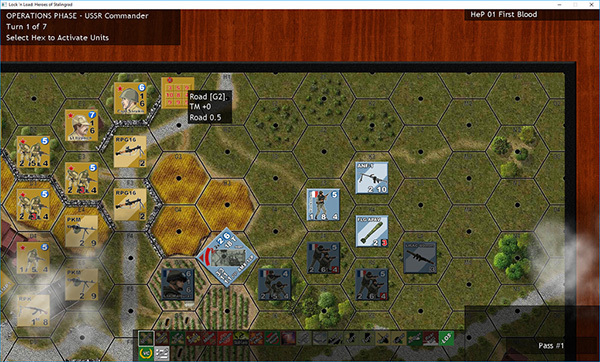 It is composed of the Heroes of the Blitzkrieg and In Defeat Defiance modules published by Lock 'n Load Publishing. 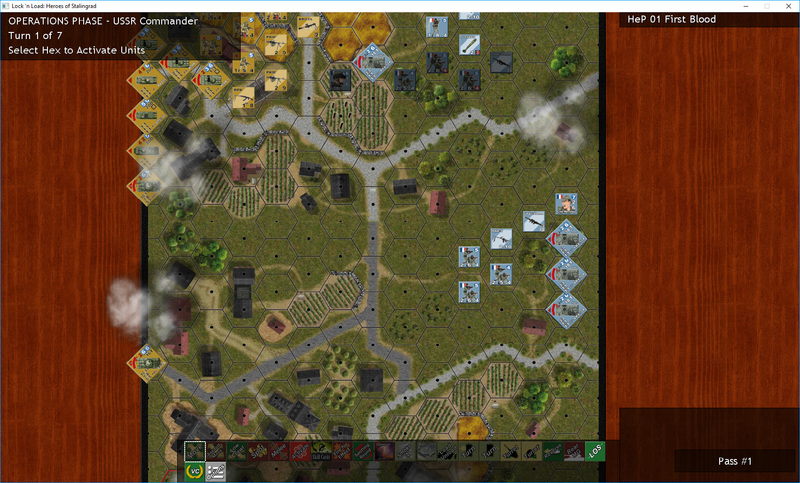 It is composed of the Band of Heroes, Swift and Bold and Noville Bastogne Outpost modules published by Lock 'n Load Publishing. This is an adaptation of the well known boardgame Cry Havoc, with all the maps, all the counters and (for now) few scenarios (others comming very soon). 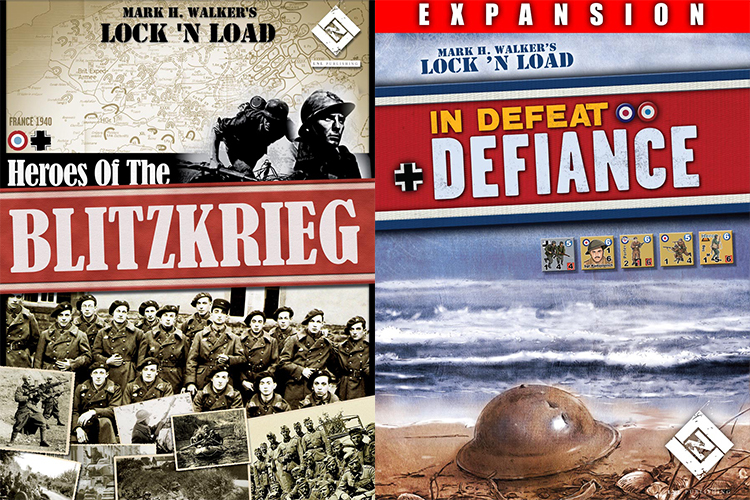 Since the appearance of this game, my wish was to be able to play all the original modules of Lock'n load that I own with this game engine because of the difficulty of finding human opponents and the time to deploy all the material on my table. So I created mods that allow me to do this and it works rather well (making some adaptations on the specificities of each module, of course). It has been several years since this game is no longer really supported by its developers and I think they will never publish a sequel to this episode. So I decided to post here the mods I made so that the whole community who still plays this game can enjoy it. It is distressing to note that with a little extra effort, the developers could have arrived at this result (and even much more)... Too bad. I'm reorganizing the files that make up these modules and make them to fit for a clean installation. In the coming weeks, I will post them at the top of this topic. I hope there are still people playing this game. Status: offline Brilliant! That sounds great, I always loved this game. Status: offline Wow, thx...... Really looking forward to this. Wow, thx...... Really looking forward to this. Status: online Some screens to wait while I clean up the files. Status: online I posted the first module. It is now possible to download it. Status: offline Just had time to download, install and open a scenario briefly. Your instructions were easy and spot on, seemed to work just fine. Hoping to get time this weekend to dig in more, thank you sir. This way you don't need to delete the original game files. Status: offline Outstanding work! Makes me feel like a freeloader not being able to contribute but you have my respect. Status: offline Thank you very much for making this available. Status: online I continue my work of reassembling the different mods. This weekend, it's the turn of the module Heroes of the pacific. The misfortune is that it is a real mess on my hard drive and I can no longer find the scenarios files for Heroes of the pacific. If a charitable soul could scan and send them to me by PM, it would be very nice and then I could integrate them again in the mod. This is Amazing I love HOS and have been waiting for more content and now we have it!! Can you explain how the folder structure will work if we use the GME vs. Deleting and adding the New Game. I would rather not delete my HOS folders. Status: offline just make copy of the whole folder and delete map folder contents in the copied folder per instructions above then install and over write to the copied folder. then start via the exe in the copied folder, works like a charm. Im a big fan of jsme but with hopefully more scenarios coming youll just have to install anything new to copied folder. You dont delete anything from your original install. just make copy of the whole folder and delete map folder contents in the copied folder per instructions above then install and over write to the copied folder. then start via the exe in the copied folder, works like a charm. Im a big fan of jsme but with hopefully more scenarios coming youll just have to install anything new to copied folder. You dont delete anything from your original install. Thanks for the instructions. All seems to work but Counters dont show up on screen when I get ready to play. Did I copy something wrong? Status: offline not sure, im not on my desktop to look at where my counters are. Since your working with a copy you try installing the mod and overwriting again. you could look in your original install of hos to see where the counters are located and check the same folder in your copy to see if the mod counters are in there. Did you install to the main hos copy folder? mine is named heroes of stalingrad- copy. do you see the new scenarios in the scenario list? Status: offline Yes I moved them to the "Art" Then "Counters" files and didnt work. I will try again tomorrow when my eyes can refocus. Thank for Help any way Budd! Status: offline you shouldnt have to move anything. let me step by step this. 1. copy the main HOS folder. 2. paste the copy of the whole folder somewhere. 3. go into copied folder, then into the map folder and delete the contents of the map folder.4 unzip the mod file into the main HOS copied folder, say yes to overwriting files. at this point everything should be in place and you just need to double click on the game exe. in the copied hos folder. Your working on a copy so no worries about hurting anything. Im sure JSME will work, i havent looked at the file structure of the mod yet. It's true that it's a bit messy in organizing files. I made a little too fast to be able to satisfy the request which seemed urgent and so that you can try all the mods (for the most impatient). I used the method of copy/paste rather than JSME because I worked on the files of the mods and it is more practical like that by having the original files available in the same folder. I will prepare a version of each mod that is compatible with JSME (and without unnecessary files) as well as a tutorial with screenshots so that everyone can install them easily. Status: offline That would be great! Much appreciated. I continue my work of reassembling the different mods. Great, but what about the rules for the landing on the shore,the Japanes Banzai and so on? It is necessary to deal with the limitations of the original program. But I do not despair of finding a way to adapt the peculiarities of the different nations of Heroes of Stalingrad (like the for the motherland or the no one step back ones, for example) to regain all the flavor of Heros of the Pacific. Personally, it suits me already very well and I really find the sensations of the games that I was doing with my boardgames (except that there I can play against an AI which is convincing enough for now). Certainly, the developers of the original game could have done much better ... But they did not (and will certainly never, alas). So it is up to us to take up the torch and try to push this game definitively to the best of what it can give. Three years ago, when we discovered this game, we were all enthusiastic about the possibilities of development and modding that it offered. I really believed at the time that there would be a sequel to this game and that DLCs were going out (and I would have been willing to buy them without any hesitation). That's why I stopped my efforts to modding this game. I waited... 3 years... And nothing happened. It should be noted that NOW the solution to evolve this game will come only from the community, with its limitations and imperfections... But also with its tremendous capacity for reactivity and creativity. Anyway, as today's fashion is to program the wargame with the UNITY engine, the future of modding will be reserved for people who will have skills in programming this kind of engine and subject to the will of the developers to openning programs for modding (these systems are very closed). Status: offline Anyway is a shame that this game is no more supported.I have done a mod with value for the AFV more close to ASL.I have value very close to ASL to be applied but after discovering a bug in the mud condition i have stopped any work waiting some patch. The bug consists in the fact that confuses AFV armor value with mud movement value. Good luck with your work,i'm interested to view the Pacific and Blitzkrieg. Status: offline Got a chance to play scenario First Blood, played well i didnt notice any issues. One thing is in the scenario description it says French troops and the units on the map are French but when you pick sides your choices are Soviet and Romania? also in the victory screen the troops categories are Soviet and Romania. I never owned or played the board game [that must of been fun] i do like the system so looking forward to anything you put out, thank you sir. Anyway is a shame that this game is no more supported.I have done a mod with value for the AFV more close to ASL.I have value very close to ASL to be applied but after discovering a bug in the mud condition i have stopped any work waiting some patch. I think we must give up all hope of seeing the developers change the game engine. We are left to ourselves and we will have to find solutions on our own. ...i'm interested to view the Pacific and Blitzkrieg. Our mistake at the start (3 years ago) was to want to make it as an all in one game. It is a real headache because of the limitation of the 8 separate nations for example. I now think that it should be considered as separate modules (much like the original boardgames or Advanced Squad Leader): a module for each period or front. This is right but the main problem,i repeat,are the special rules for each mod. The result is still quite convincing. you shouldnt have to move anything. let me step by step this. 1. copy the main HOS folder. 2. paste the copy of the whole folder somewhere. 3. go into copied folder, then into the map folder and delete the contents of the map folder.4 unzip the mod file into the main HOS copied folder, say yes to overwriting files. at this point everything should be in place and you just need to double click on the game exe. in the copied hos folder. Your working on a copy so no worries about hurting anything. Im sure JSME will work, i havent looked at the file structure of the mod yet. Finally got it after looking at your instructions step by step. Thank you! 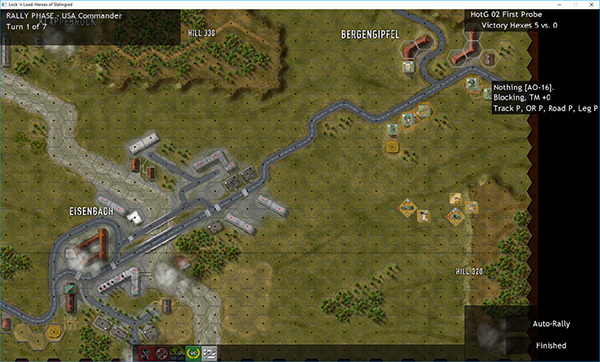 Game works great now no need to wait for Lock N Load Publishing to come out with HOS 2 Digital Version. That may never happen so lets enjoy these Modules. Thank you again to Maitre for all his hard work and dedication to this Title I have been playing & enjoying for years! !